The first time I showed Religulous to our youth leaders, some confessed that they felt guilty for laughing. Being a product of sacrilege, I didn’t think too much of it. I was more concerned about the doubt that would be created and reinforced – which was part of the reason I was showing the movie. Everyone I know doubts. Not just Christians – I mean everyone I know doubts something that they were at one point certain about. I think a solid youth ministry discusses that first. For Bible-believing Christians, we don’t teach our students enough Bible. There are various reasons for that which I can’t get into here but we don’t teach enough Bible. Even more importantly, as Bible-believing Christians, we don’t teach our students enough the importance of walking in the Spirit. When we explore our doubts as we are seeking the Holy Spirit, a lot of beauty, truth, and the presence of God is found. God is not afraid of our questions. I used to think He was. I used to think that my submitting any question in the direction of God would grieve God and I’d either get cursed with a broken television or worse get called into pastoring at a King James Version only church (I can the blog reader say it right now, “If the King James was good enough for St. Paul – it’s good enough for me!”. I used to also think that the less you doubted the more your faith grew. Though I’m not a good linear thinker, if you could picture a line and on the far left, it was labeled, “Great Doubt” and the far right “Great Faith”, i would have assumed that they were polar opposites from each other. But I think it’s a pretty thin line. It’s when we believe in spite of the doubt, in spite of the pain, that our faith is growing. I see Matthew 7:7-8 as a promise to the seeker of faith (“Ask and it will be given to you; seek and you will find; knock and the door will be opened to you. For everyone who asks receives; he who seeks finds; and to him who knocks, the door will be opened”) and reminded our students as I have been reminded many times, great people of faith doubted before they obeyed – Abraham, Moses, Jeremiah, Thomas and you could even make the case that Jesus was tempted to fall into doubt. When He’s prays in the garden for the cup to pass over him, that is not just poetry. Luke 22 describes that he prayed so earnestly that drops of blood fell to the ground. Wether this is figurative language or the A rare physiological phenomenon “hematohidrosi“, he was certainly stressed. I dislike the idea that Jesus skipped his way to His crucifixion and gave a “thumbs up” before being nailed to the cross. In fact, it’s this Jesus in Gesthemane that encourages my faith. Indeed, Jesus knows what it’s like to at least be tempted to doubt … and to believe. sometimes I’m not altogether sure what I believe or why I believe it. But I do want to know you. I want to find you. I thank you that you’re walking with me on this journey, even though it often doesn’t feel like it. I invite you to plan an even bigger role. Guide me, lead me, help me, God. I want to rest in you. I want to work with you. I want to believe in you. Last weekend we went on our Sr. High Winter Retreat to Harvey Cedars. For the past few years, these winter retreats have been very confirming moments in our youth ministry. We’ve been doing movie-themed weekends (Crash, Saved!, The Matrix) and getting into deeper discussions than we normally get to during our Wednesday night gatherings. Being away from a Friday to a Monday, not having school the next day and having multiple sessions allows for us to dive deeper into our themes. This year we showed Religulous and our main themes centered around doubt, faith and practice. 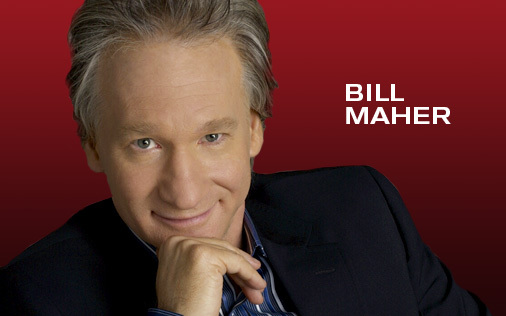 What’s interesting to us about Bill Maher is that he grew up in Rivervale, NJ and graduated from Pascack Valley High school which is less than a mile from our church and of course attended by several of our students. He grew up attending a Catholic church in the next town as well. As his story goes, they stopped attending when he turned 13. We laughed several times at these connections and we couldn’t resist wondering if Bill ever visited our church. What would we have said to him? What should we have said? We made it clear that we ought not to demonize Bill. He’s not an enemy of the faith. In fact, he brings up various points that we found easy to agree with. Generally speaking most of the types of Christianity he presents in his mockumentary are types of Christianity that I disagree with as well. From greedy televangelists to characters and visitors at Orlando’s Holy Land Experience, I shook my head too many times frustrated by what is considered “Christian”. We all did. While it is necessary for us to remain humble and acknowledge the many stumbling blocks that we have created, I hope we were reminded that we desperately need to be a better Church. We need to practice a better Christianity. 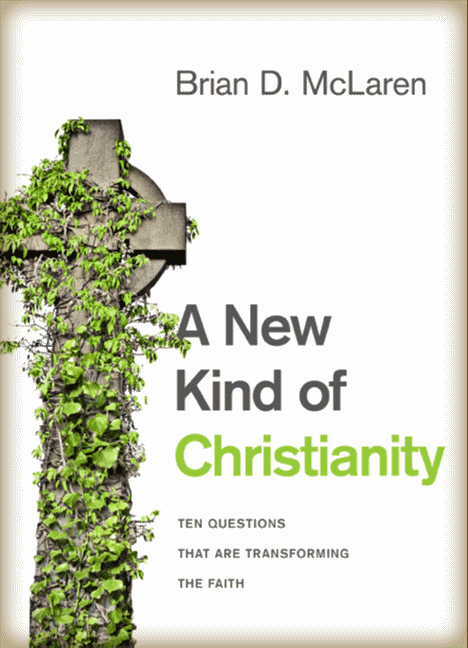 I’ve been reading the new Brian McLaren book, A New Kind of Christianity and have been trying to figure out what to say about it. First, it’s pretty good. Second, I hope people really read it. Third, it seems to me that people have been very quick to label this book as “(insert your word or phrase here)” but I feel that misses the point of the book. It reminds me of why I love reading these types of books. 1. As a follower of Christ, I love God and others. 2. Because of the New Testament (specifically the Resurrection of Jesus), I believe in the mission of the Church and doing my part in serving God’s Kingdom. 3. The Church is failing to capture the attention of the culture. Meaning more and more, people are becoming less interested in Church, Christianity, and even Jesus. If this describes you as well but you have not heard of Brian McLaren or heard that he is heretical, I’d like to ask you to read this book before making that conclusion. While I have yet to meet anyone who agrees with Brian point for point, he is one of the good guys. He mentions in the beginning of the book the many labels he has acquired over the years, “Dangerous”, “UnBiblical” and of course as mentioned , “Heretic”. He isn’t. And as a conservative evangelical, I want to continue in the conversations that he raises because I find these conversations to be very important. He asks, “What is the Gospel”. Most people like to say that it’s the death, burial and resurrection of Jesus, which it is but is that all it is? For years now, I have been discovering that the Gospel is so much bigger than I ever gave it credit for. He discusses Scripture, the Church and also asks some important questions regarding sexuality. Again, these are conversations and they are worth having. I encourage those who are interested in the future of the Christian faith to consider picking up a copy of New Kind of Christianity. In the meantime, I plan on posting more about this promising book. 1. We had our Sr. High Winter Retreat last weekend at Harvey Cedars. I am thankful that it went well. I plan on blogging some thoughts concerning our material. We showed Bill Maher’s Religulous and discussed the topics of doubt and faith. A lot of content but our students did well with it. We also had a pajama party game night and a talent show over the weekend. Some really great moments. 2. Went to the Ecclessia gathering last minute. That was a good thing for me and I really enjoyed my time there. Dallas Willard’s Divine Conspiracy was a game changer for me back in college. I am realizing that I need to read more of him, I need more voices like him in my life. There were some other excellent speakers there too, I hope to blog about that too. 3. Susan and I went out to eat over the weekend. It’s funny that we used to go out all the time and now a monthly date is quite the event. Also funny that we decided to go to the Olive Garden. I know, I know, it’s not cool but we do like that salad dressing and we said, “Who cares about fine local eateries, we are going to sell out to the corporate juggernauts because they do have awesome salad dressing!” It’s like the Big Mac secret sauce. 4. Watching Lost and reading Lost blogs. I can’t wait for this week. If ever there was a time of the heart’s preparation that I needed, it’s now. For years I had given up coffee and I’ve gotten bored with that and so I am among the many that have decided not to give up something tangible but to give up something spiritual. If the idea is about trust and prayer then the I need to give up my anxieties. I know how that reads on a blog – lame. But if there’s one thing that would help me prepare my heart to celebrate the Risen Savior Jesus, it would be to expend my mental energy on the things of life, loving God and others, sacrifice and life again as opposed to the things that are sabotaging my life. It feels like there is a lot going on and it’s distracting and I truly need to focus on the essentials here and am committing to some spiritual disciplines to get me there. Read The Dispensational-Covenantal Rift by R Todd Mangum (one of our Biblical professors). Reading A New Kind of Christianity by Brian McLaren. My fellow Evangelicals, as you know fewer people are calling themselves Christian (or Evangelical). We should read this book because it carries a number of insights that would be helpful as we serve the Kingdom. Need to read Piper’s Future Grace. This is like the Ridderbos of 2 classes ago – long-winded, reformed, not yet sure if it’s repetitive.) In truth, I think it’s actually a good book. Just started NT Wright’s Justification for a independent class that Evan and I just started. Another Side of Bob Dylan, The Wilco album, and some worshipful playlists. Relevant Podcast. And I’m behind on the rest. Jim Belcher’s Deep Church on audio. Everyone has raved about this book and I think it’s pretty good too. I’ll reserve my final thoughts for a review post but Belcher sounds like a fair soul at this point. He’s trying to see the traditional-emerging discussion from all angles and I give him credit for that. Invisible Children benefit Concert this Friday. If you’re local, come on by to the Back Door Cafe in the Nyack Community Center at 7pm. We will have the IC roadie team sharing between sets and the music will be by local high school bands in the Bergen-Rockland county areas. We will be starting a few new series soon. One is called, “Practical Atheists – We say we believe but do we live like we do?” and another on how the Bible was put together. Should be fun. Looks like I’m going to a lot of school plays in the coming weeks. We have some serious talent in our group so I’m looking forward to it. Catching my breath at home. Second Mile service this weekend. The message is entitled “Love & Heartbreak From Chicago to Dashboard Confessional and yada, yada, yada”. Last week I had the privilege of sharing at my uncle’s funeral service. While I don’t literally remember exactly what I said, here’s my best attempt at a written eulogy and some thoughts on his life and ours. We’ve come with such heavy hearts. In all the years and in all the funerals I’ve been to, I am always stunned by how much each service hurts. Probably because among other reasons, the pain reminds us of love. Each time we enter the season of grieving, our heavy hearts remind us of that the superficial things of life will fade. We are reminded of the things that we have organized and centered our lives around are so trivial. If we were feeling numb, it’s during grief that we feel again. We are awoken by the pain of it all. But worst of all – Death reminds us that we are not in control. the reason we have gathered in a church is not out of tradition. The reason for which we pray is not out of piety and the reason we sing is not due to preference. A son has returned home to his heavenly Father. For the Christian, this is also a day of celebration for today is a day of salvation. Many things come to mind when I think of my uncle. The picture to the left of the casket was very appropriate as his smile shone through. I remember him being a very tender and loving soul. I think of him and his music and how he loved songs. I’ve always wondered what is about a song that is so powerful? It is more than words and a tune. I think of how we play certain ones over and over. How we project ourselves into them and think of them as soundtracks for our lives. I think of how we reflect on them and how we are anxious to share them with each other. What is it about a song that makes it so beautiful? I remember it was Christmas day and I was about 10 and everyone was staying over our home. I had gone to bed and had been awoken by the playing of a piano. I’m sure it sounded great, but when you’re 10 you have little appreciation for such talent. All I knew was that I was sleeping and someone was banging away at the piano. I got out of bed, wiped the sleep from my eyes, and sought out the man responsible for waking me from my slumber. I saw my uncle playing away and as a bratty 10 year old, I told him that it was late and he couldn’t play the piano at this time of night. I remember realizing that he seemed quite oblivious to the time of night and I remember him cupping his hands around my face and saying he was sorry that he woke me up. I also remember thinking that his reaction made it difficult to remain angry with him. I returned to bed, got under my covers, adjusted my pillow, closed my eyes, took a deep breath and resolved to fall back asleep. It was at that moment, the piano resumed playing. I couldn’t believe it. I now know that a musician needs to finish the song. I reflect on my favorite songs and my favorite melodies and my favorite words. Among them is Mark 12:29-31. In a lot of ways, Scripture is a lot like a brilliant song. You think about it, memorize it sometimes, imagine your life in it, etc. To love God and to love others is a song I hope to keep singing. Indeed, it’s one for all of us and frankly I believe it’s the song that makes all the difference. Who is it that I truly love with all of my heart? It is myself, is it my God, is it my wife, kids, family? Is it in loving God, I am able to love my family better? Understanding what we love reveals a great deal about us. It tells us who is the god/God of our lives. The night before the funeral, I kept asking my cousin Ayman what his dad’s favorite song was. He kept saying that there were so many, it was impossible for his dad to pick one. As he is a talented piano player as well, he explained that there were just too many songs to pick from. However, my cousin remembered one of the last songs his dad played on the piano. The whole family had gathered and my uncle, frail and a bit weak made his way over to the piano. I imagine he felt that they were made for each other and the most natural thing to do was to play. He chose an old Arabic hymn that was about rejoicing about the day one accepts Jesus as their Savior. My cousin kept saying that there are just too many amazing songs and it’s impossible to pick one. And that got me thinking – Our lives are like songs and God loves them all. Sadly, there are short songs, and there are longer ones. I wonder, if our lives are like songs, what kind of song are our lives playing today? Have you ever heard a song that started appealing but as it played, it seemed to have lost its way? Or have you ever heard a song that you weren’t sure about from the beginning but as it continued, as it went into the chorus, and the second verse, and as it built, it was just amazing!? I wonder if that’s the song of the repentant, the forgiven the song of the second chance. Days of grief move differently. Time takes on a different type of pace. In the strangeness of it is an appropriate time for all of us to take inventory of our lives and reflect on the type of life or the type of song our lives are singing. My uncle loved music, he loved singing songs. But because of death, his body can no longer sing. But the beauty of death for the believer is that it cannot silence the soul. For again, death is not in control, and this is the significance of the Resurrection of Jesus. Psalm 40:3 says, that God “has put a new song in my mouth” and while my uncle could not choose a favorite song in this world, I like to imagine that this new song is his favorite. 1. Attending and sharing at my uncle’s funeral. 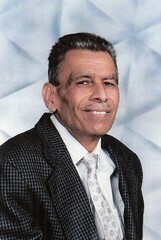 Uncle Dawood (Arabic for David) was a good man who loved the Lord and his family. He loved leading worship, playing, composing, and teaching music, and as we all remembered, he smiled a lot. He leaves behind a beautiful family. My aunt Amal is a godly woman who is a solid example of what it means to live trusting the Lord. Their children (my cousins) are selfless and sacrificial people who practice so much of our Lord’s teaching. They too are musical and are generous in sharing what they have not only with family but with strangers too. My uncle leaves behind grandchildren and two sisters who adored him too. I was honored to share during the funeral service and hope to post something close to what I remember saying as a form of tribute. 2. While it was a difficult time for us, it was good to be with our family. Every time we gather, I am reminded of how fortunate I am to be a part of them. My sister, Kim, flew out from AZ with my adorable niece Lina and it was great to hold her and make her smile again. 3. Recovering from my stolen Macbook has been quite the process. At the same time, I’ve been blessed by the kindness of my friends. Some have even offered to loan their personal macs. Unfortunately my time machine backup takes up about 120 GB’s so I am a bit limited in what I can do. I was especially touched that one of our students offered his personal macbook. Very cool. In addition, I had a youth leader and a kind man in our church offer theirs. We’ll see what happens (and if I can manipulate my high GB usage in Time Machine but you know you are in a good community when you are surrounded by those that take up your problems as their own. 4. Loved the Saints winning the Super Bowl. While I am an admirer of Peyton Manning, it was good to see the Saints win. It will be another thing to discuss on this summer’s mission trip to NOLA too. So much to do for that trip but I’m looking forward it. And have been flipping through The Search for God & Guinness by Stephen Mansfield. White Stripes, Bob Dylan, new Desperation Band and Matt Maher’s Alive Again. I really like Hold Us Together. Relevant Magazine podcast – thought it was classy that the other week they altered their normal format in light of the crisis in Haiti. They interviewed World Vision VP Steve Haas and are currently donating half of every dollar from new subscriptions to World Vision’s emergency relief efforts You can subscribe here. The Lost premiere and I hate that it’s on Tuesdays. I don’t get home til after 1am from school. I had to stay up til after 3am to watch and by then, my own brain was in a parallel universe. Our Senior High Winter Retreat. Showing Bill Maher’s Religulous and tackling the monster subjects of doubt and faith. I’ve been looking forward to this for a while now. Praying for a meaningful time. Our Invisible Children Benefit Concert at the Backdoor Cafe in the Nyack Community Center on February 26th. Well, it’s been a frustrating day. I thought twice about posting this but what good is a blog if you only write when you’re feeling content and reflective? Part of this is for the sake of authenticity and another part is catharsis. So here we go. Having been one who has lost data, I backup about twice a month. Initially, I thought I had only lost the last two weeks of data but after checking my external hard drive, it looks like it was an incomplete back up and the last complete one was Dec. 28th. So it looks like part of digital life will be entering in 2010 again. The data lost was not only the last month’s worth of work but also work that I’ve had been picking at, like most importantly our upcoming winter retreat. Pretty frustrated about that. Not because we won’t be ready, nor will it alter the retreat, I’ll get it done but I am frustrated that I’ll have to redo my outlines from memory. But who knows, maybe they’ll turn out better. That’s the attitude I want. But if I’m being honest, just as quickly as I write that, I’m consumed with anger that this person took from out of my church office. And while I’ve contacted my banks and credit cards and off shore money laundering services, I’m frustrated that I will live in a bit of paranoia as I monitor my financial accounts. Jesus talks a bit about this like in Matthew 6, “Do not store up for yourselves treasures on earth where moth and rust destroy and where thieves break in and steal. But store up for yourselves treasures in heaven …” It’s an excellent big picture perspective to keep in mind. So much in life is temporary and trivial. And so many other parts are essential and eternal. I know this will pass and like December is to me, a month from now, the non-financial data will have less value to me and would have been part of the archive. We’ll see how things play out between insurance claims and other factors moving forward. There is a bit of potential awkwardness but I am hopeful that things will go well. It’s been nice to feel the support of some friends. It’s only a laptop and data but some people get it and that’s cool. We keep saying that it’s a shame that it happened in a church and that carries a sense of violation with me, it also tells us that we do have at least one more sinner in our midst. So it’s me and this jerk and maybe a couple others. We’ve stolen more from God and others and I hope that keeps my anger and frustration in check.